If you need to make a change to many Aeros or Master Aeros – for example if you want to reassign a whole bunch of Aeros from one team member to another or get rid of a lot of Aeros at once – then you need to use the Batch Update Aeros function. You can access it by navigating to Manage > Batch Update Aeros. From Start Date* - Required. The start date assigned to the Aeros. This is the beginning of the date range for the Aeros you want to change. To Start Date* - Required. The start date assigned to the Aeros. This is the end of the date range for the Aeros you want to change. Assigned To - Choose from the drop down. The team member assigned to the Aeros you want to change. Aero Type - Choose from the drop down. The Aero Type assigned to the Aeros you want to change. Company - Choose from the drop down. The client, vendor, or other company assigned to the Aeros you want to change. Contact - Choose from the drop down. The contact assigned to the Aeros you want to change. Status - Choose from the drop down. The status assigned to the Aeros you want to change. If you don't make a choice, the status defaults to Not Started. Priority - Choose from the drop down. The priority assigned to the Aeros you want to change. If you don't make a choice, the priority defaults to All. Category - Choose to filter for one Aero Category (Task, Appointment, Email, Other) or all. The default is All. Hat - Choose from the drop down. The hat assigned to the Aeros you want to change. Project - Choose from the drop down.The project assigned to the Aeros you want to change. Subject Contains - The subject or part of a subject for the group of Aeros you want to change. Once you have chosen the filters to find the group of Aeros you want to change, click the blue Next button. That will take you to the Batch Update Aeros: Make Changes screen. Change Start Date - Change the start date to a different date. Change Team Member - Reassign the Aeros to a new team member. Select the new team member from the dropdown menu. Change Type - Change the Aero Type. Select the new Aero type from the dropdown menu. Change Company - Change the client, vendor, or other company. Choose the new company from the dropdown. Change Contact - Change the contact. Choose the new contact from a dropdown menu. Change To Billable - Check the box to change the Aeros to Billable. Change To Not Billable - Check the box to change the Aeros to Not Billable. Change Status - Change the Status of the Aeros. Choose the new status from the dropdown menu. Change Priority - Change the priority of the Aeros. Choose the new priority from the dropdown menu. Change Hat - Change the hat assigned to the Aeros. Choose the new hat from the dropdown menu. Change Project - Change the project assigned to the Aeros. Choose the project from the dropdown list. 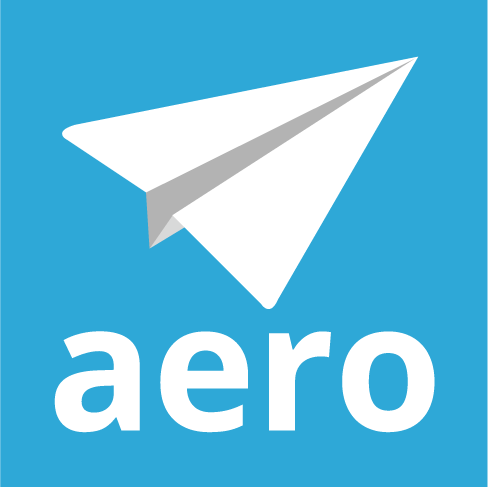 Once you have selected the changes you want to make to the Aeros, select the Aeros from the list in the bottom section that you would like the changes to be applied to by checking the box in the left-hand column. If you want to apply the changes to all the Aeros in the list, check the box in the column header to select all. When you have made all your selections, click blue Update Selected Aeros button to apply the changes. Aero will apply the changes and refresh the list in the bottom section. Note: If you make changes to the selected Aeros so that they no longer match your filters, they will no longer be on the list in the bottom section. For example, if you have filtered for Aeros assigned to Bob, and then reassign them all to Joan, once you click the Update Selected Aeros button, the list in the bottom section will be empty, since you are still filtering for Aeros assigned to Bob. How can I delete a whole bunch of Aeros / emails at once?